St Peter's, Pebworth, had an amazing transformation from derelict 5 to very much ringable 10 in a very short space of time. The bells were rehung and made 6 in 1986, augmented to 8 in 1995 and then to 10 in 2002. As ringers we know them quite well, and due to the open galleried ringing platform, we get an elevated view of the church's interior. However, the church contains some interesting features that are worth a closer look at ground level. The large arch-like opening in the west face of the tower is intriguing. At one time it contained a window, but the tracery within it decayed and after its eventual collapse the opening was filled in. It would be slightly remiss not to mention the bells, as some have a local and even national importance. A ring of 5 bells was cast by Evesham bellfounder Michael Bushell in 1707. Unfortunately the tenor cracked and was recast by Abraham Rudhall in 1732. 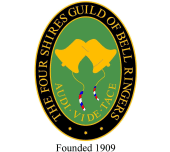 The four remaining Bushell bells survive as the 6th, 7th, 8th & 9th of the present ring. Michael Bushell worked with the already-established William Clarke. Bushell is first mentioned in 1706, when he and Clarke collaborated to cast a ring of 6 for Badsey (the present back 6). 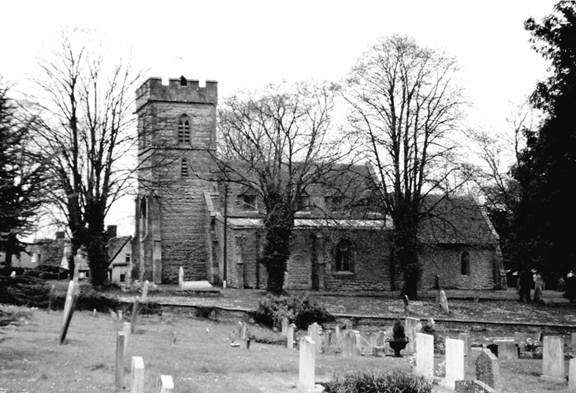 Clarke had by that time cast some single bells for churches in the area and in 1705 cast a ring of 5 bells for Hinton-on-the-Green (the present back 5). Bells had been cast in Evesham since 1600, but all this ceased in 1711 when Clarke & Bushell's operation was curtailed by the landlord selling the bell foundry site and some adjoining property. The bells are a chuckable, easy-going 10 that anyone can handle with ease. The first Q on the 10 was Grandsire Caters on July 22nd 2002, composed and conducted by Ian Povey. The Guild's practice, on July 21st 2012, is almost 10 years to the day on from that occasion.